The Associate of Science in Network Systems Engineering Technology is a 60-credit-hour program for students who want to prepare for various computer-related careers such as Network Administrators, Network Engineers, and Network Specialists. Of those total credit hours, 17 hours are general education courses; the remainder are comprised of program-technical courses. 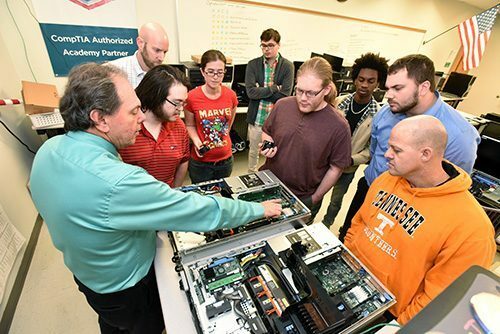 Students entering the Network Systems Engineering Technology program will take a wide variety of subjects related to the computer infrastructure industry. Desktop operating systems, server operating systems, routing and switching, network security, server virtualization, and cloud technologies are all covered in detail. Classes are designed to prepare participants to take industry certification exams from Microsoft, Cisco, Palo Alto, VMWare, Linux and CompTIA.